You got to the Google Play Store to install new apps, so color us surprised to find out it’s now suggesting you delete apps if you’re running low on storage. Basically, if you try to install a large app when you’re running low on storage, a pop up will prompt you to delete apps you don’t use often, listed in order of size. That’s helpful for people who don’t know how much space their apps are taking up, but media files are likely just as big of a culprit. For that, Google links you to your phone’s storage settings, but as Android Police – which first spotted the feature – points out, it would be nice if Google suggested uploading your media files to the cloud. 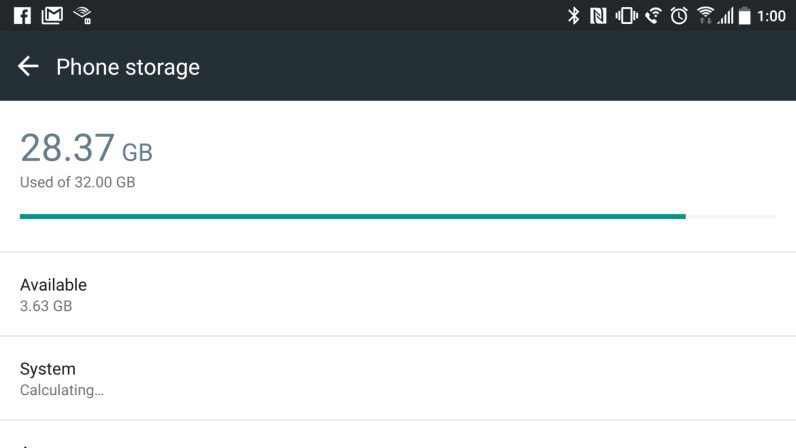 It would also be neat if the Play Store allowed you to manage your apps before you hit critically low storage, but better this than nothing. That said, we haven’t been able to replicate the feature ourselves just yet, so it might not have rolled out to everyone. We assume it’s just a matter of time, but we’ve contacted Google for more information and will update this post if we hear back.